The Home Run Derby - Perfect Pitch HRD Inc. The "Perfect Pitch" Home Run Derby the Annual Event has been put on hold until further notice. Although the annual event has been put on hold, Perfect Pitch HRD Inc. continues to run and welcomes the support of the public in order to keep the organization on its path of doing good things for the community. 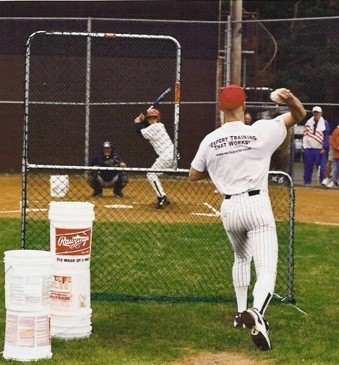 The Perfect Pitch Home Run Derby is an event that encourages people to "Step up to the Plate" and take a swing for charity. Each competitor pays $30.00 to register to play. The home run derby competition is complemented by a barbeque and raffle/memorabilia sale. The rules of this competition are very simple. Each competitor is called up to take his or her "swings for charity". Professional baseball instructors will pitch the "perfect pitch" to each individual. Each competitor will be able to take seven (7) swings out of a maximum of 11 pitches. The playing field is set up with a point system. There are four point sections broken down by distance. Each section is coded with a color. The first section is worth 3 points, the second section is worth 5 points and the third section is worth 7 points. Anything over the fence is worth 10 points. If you make contact with the ball, but it does not make it into a section, you will receive 1 point. At the end of each division the points are calculated for each competitor. The 1st, 2nd & 3rd place winners in each division will receive a trophy. The winners will be announced after the raffle drawing and before the closing ceremonies. To play in this event you do not need to be a baseball player. This competition has been designed to enable each player to accumulate points whether they can hit the ball over the fence or not. 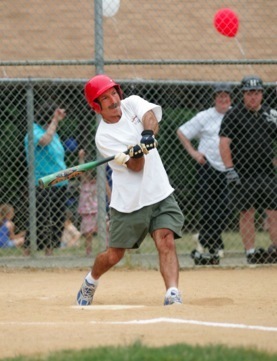 Everyone is a winner for stepping up to the plate and "taking a swing for charity!" Perfect Pitch HRD Inc., 144 North Beverwyck Rd., PMB #218, Lake Hiawatha NJ, 07034.